The Congressman, at the centre of a political storm over his Balakot comments, has remained a part of the Gandhi inner circle over two generations. 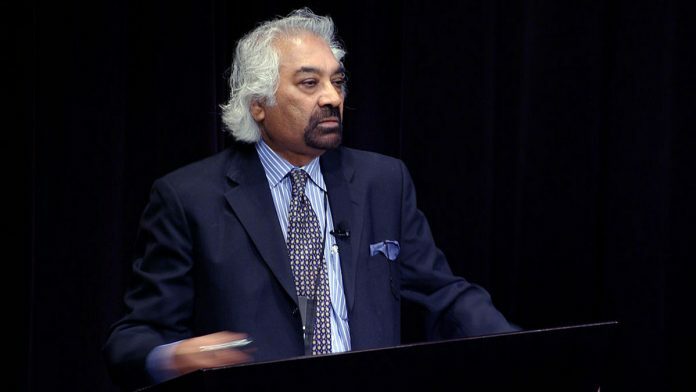 New Delhi: Sam Pitroda, 77, has a unique distinction even among staunch Congressmen — he is among the few who has remained a close aide of the Gandhi family over two generations. Pitroda first gained entry into the family’s inner circle by selling his ideas on the telecom sector to the then Prime Minister Rajiv Gandhi. Today, he is a close aide of Rajiv’s son, Congress president Rahul Gandhi, advising him on a host of issues, arranging his foreign visits, and even playing a major role in the drafting of the party’s manifesto for the Lok Sabha elections. Pitroda has now, however, hugely embarrassed the Gandhis and has given the BJP a stick to beat the Congress with ahead of the Lok Sabha elections. The BJP has quickly latched on to his comments on the Pulwama attack to ensure that the poll narrative remains centred around nationalism. In an interview to ANI, Pitroda had questioned the Balakot airstrike and wondered if the Modi government had any proof of the casualties it claims to have inflicted. In an interview to ThePrint, however, Pitroda clarified that he did not question air strike and he was taken out of context. Pitroda is among the few whom Rahul Gandhi has made part of his coterie since assuming charge as the Congress president in 2017. Pitroda, who has spent a considerable amount of time in the US, has not only arranged the foreign trips of Rahul including the much-talked-about one in Berkeley, and the most recent one in Dubai and Abu Dhabi, he has played a key role in showcasing the Congress president among the international fraternity. He has often been credited for changing the perception of Congress president overseas and has even given a few lessons to him on communication and leadership. He is also part of the manifesto consultation process and had organised a meet in Dubai recently to get inputs from NRIs and other stakeholders. His closeness to the Gandhi family can be gauged by the fact that he had served as an advisor to former Prime Minister Rajiv Gandhi. The two shared a great rapport. In his book Dreaming Big, Pitroda describes how he first met former Prime Ministers Indira Gandhi and Rajiv Gandhi, writing that “there was something welcoming in his (Rajiv’s) manner”. They immediately clicked. Pitroda founded India’s Telecom Mission and served as the first chairman. He headed India’s National Knowledge Commission between 2005 and 2009 to frame a policy for the knowledge-related institutions. Under the UPA, he also served as the advisor to the Prime Minister on public information infrastructure and innovation. The Congress leader was born to Gujarati parents in Titlagarh, in Odisha, as Satyanarayan Gangaram Pitroda. Way back in 2012, Rahul Gandhi had referred to Pitroda as a carpenter’s son and had pointed out the significant role he played in introducing Rajiv Gandhi’s telecom policy. Pitroda too had said he was “proud of his identity” and claimed Gandhi had merely pointed to a fact and was not indulging in caste politics. Nothing of that sort. This is only GODI MEDIA false propaganda in which the print ( Shekhar Gupta ) is also included. Hence this article.